Laroque Holiday Villa has a fully enclosed garden with a lockable gate. We can accept up to two medium sized well-behaved dogs. There is walking directly from the door up into the surrounding hills. Many of the local restaurants allow dogs. DOGS CANNOT BE ALLOWED IN THE PRIVATE POOL AT ANY TIME. If your dogs are part of the family and you want to take them on holiday with you to the south of France please read our guidelines below to decide if LaroqueHolidayVilla is the right place for your holiday with your pets. Check on the DEFRA site for the details, but here's a quick summary (as of January 2017 and for travel BEFORE BREXIT, i.e before end of March 2019). Your dog(s) will need to be microchipped, have a pet passport and be up to date with their rabies vaccinations. To return to the UK they will need to be treated by a vet for worms using an approved product by a vet in France at least 1 day and not more than 5 days before the date (and time) of crossing the channel. 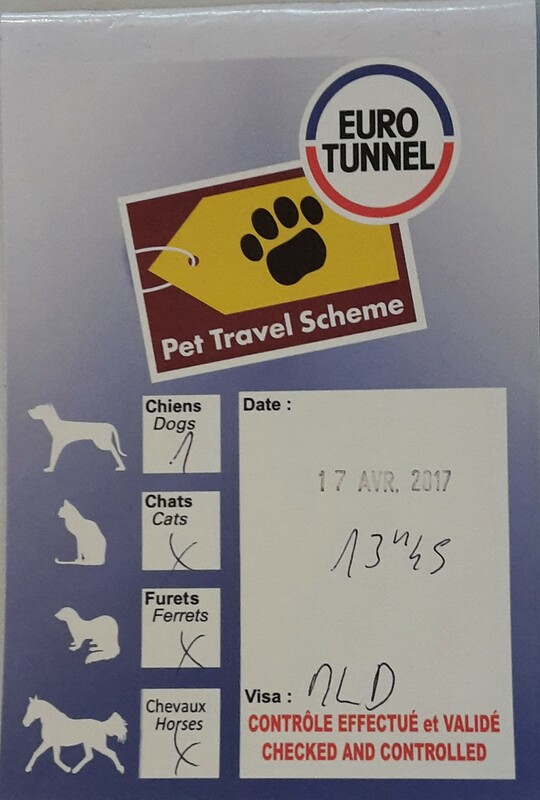 This must be recorded in the pet passport, along with the date, time, the approved product and vet's stamp and signature. Check with the ferry company or Le Shuttle for their current requirements. These differ between companies and routes. Not all the ferries carry dogs. Those ferries that do take dogs may require them to be kenneled during the crossing. Some may require them to be left unattended in cars. The shuttle (tunnel) is the shortest and fastest crossing and dogs travel in your vehicle with you. You will be given a mirror hanger with a paw print on it at check in (both ways) to show that you have a dog on board. 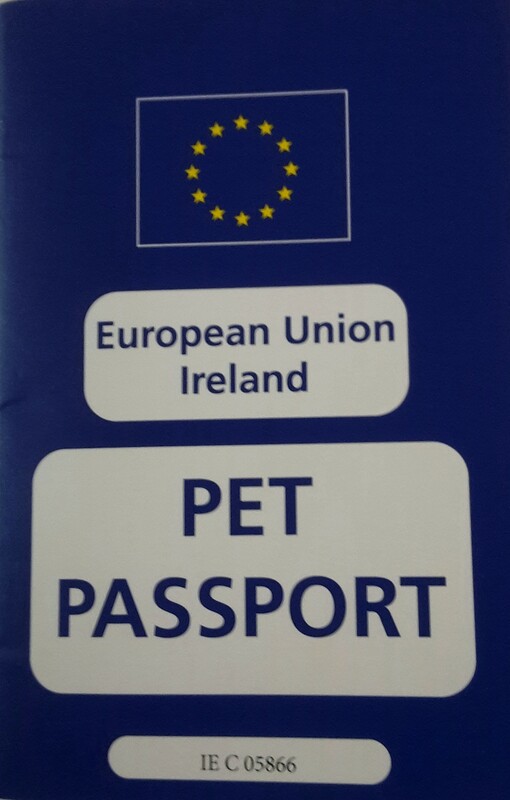 Coming back to the UK you will need to visit the pet reception first, before checking in. 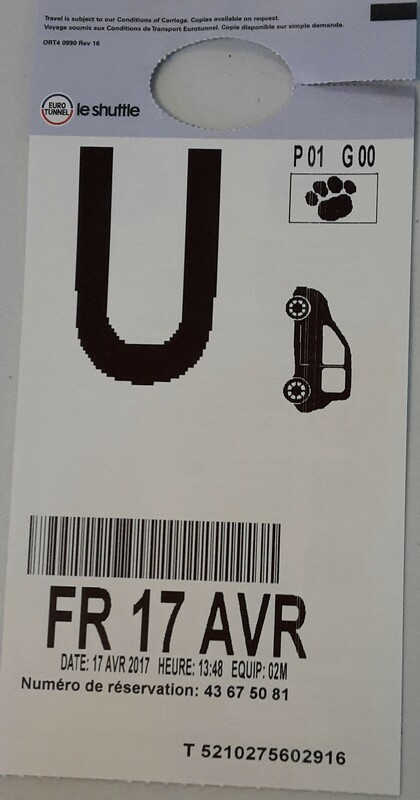 They check the microchip and the pet passport and then give you the pet travel scheme label/sticker to display on the windscreen of your car as you pass through the other boarding controls. 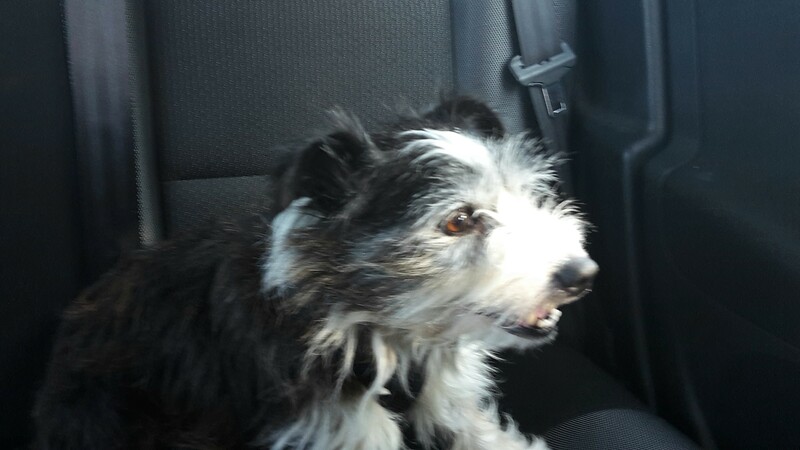 Remember that it is a long drive to the South of France and allow for plenty of rest breaks so that your dogs can have some exercise, drink and toilet. As well as service stations there are also 'Aires' on the motorways which are places without petrol or cafes etc where you can stop for a break and picnic and stretch your legs. If you stay for an overnight stop en-route remember to check whether they allow dogs. Generally the chain hotels, for example, Premier Class and Campanile allow dogs, but check first, and book ahead to make sure you can get a dog-friendly room. If you bring your dogs to LaroqueHolidayVilla please be considerate of our neighbours and remember that other guests deserve to find the accommodation in tip-top (dog-free) condition too. To this end we have set a few conditions. If you cannot agree with these then LaroqueHolidayVilla is not for you. We only accept dogs that are well-trained, friendly and not reactive or aggressive. We cannot accept dog breeds which are in the 'Categorie 1 or 2' as defined by French law. All dogs must be listed on the booking form and the dog conditions of the contract must be agreed to. Your dogs must be treated against fleas, ticks and worms, with up-to-date vaccinations. Please bring your pet’s bed and bedding to provide a familiar environment in otherwise strange surroundings. If they normally sleep in a crate, then bring it along. Please bring sufficient towels and rugs to dry and clean your pet and to protect floors etc. Please keep your pets off the beds as the hairs are very difficult to remove. If they go on the sofas please bring your own throws and ensure the sofas are fully covered. Please be considerate to other guests and the owners by making sure that you clean up after your dog. Please do not leave your dog alone in the property, unless it is crated and will happily be left without getting anxious. No-one wants unhappy dogs or damaged property! We do not accept puppies under one year of age. There is a small extra charge of £25 per week for bringing your dog. We require you to agree to be responsible financially in full for any damage caused by your dog.